I've made this before, but just wanted to post a quick second recipe for the evening, and also as a follow up to yesterdays frozen treats list. As of right now mine is chilling out in the fridge getting ready to go into the churn. If it lasts till Thanksgiving will be a nice light and refresh dessert after all that heavy food. 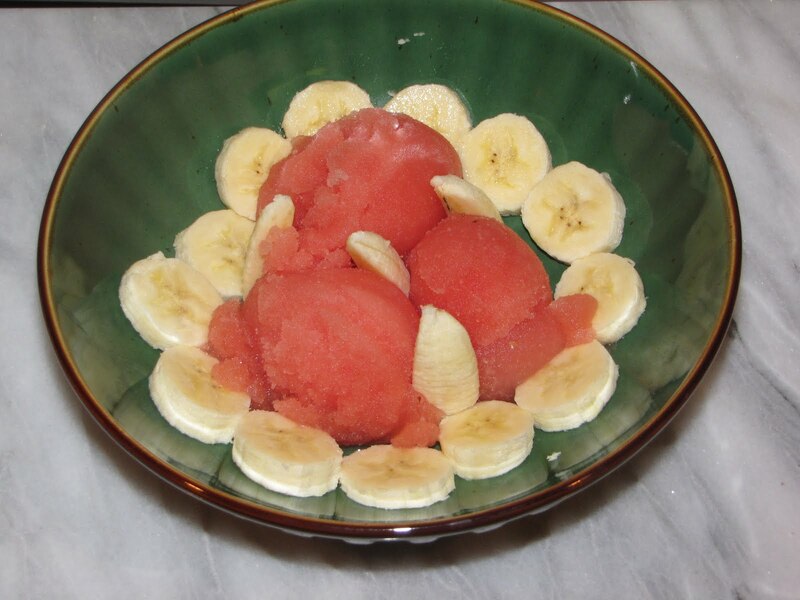 This recipe was taken from Alton Brown's Melon Sorbet recipe, but with reduced sugar. Goes great with fresh sliced banana. Place the melon in the bowl of a food processor and process until smooth. Add the lemon juice, vodka, and sugar and process for another 30 seconds. Place the mixture into the refrigerator until the mixture reaches 40 degrees F; depending on the temperature of your ingredients and refrigerator, this could take 30 minutes to 1 hour. Pour the chilled mixture into the bowl of an ice cream maker and process according to manufacturer's directions. Transfer the sorbet to an airtight container and place in the freezer for 3 to 4 hours before serving. Taking the geek to nature. When you make your living herding electrons, interacting virtually with coworkers, and illuminated by the cool glow of lcd panels and led lights, you start to find a void in your existence. This blog journals my attempts to reconnect with the natural world, physically, socially, and mentally. Vegan MoFo Day 4 - It's Thai Thursday! Vegan MoFo Day 3 - They have Salads, Lets Go! Movember - Free Rides for everyone!